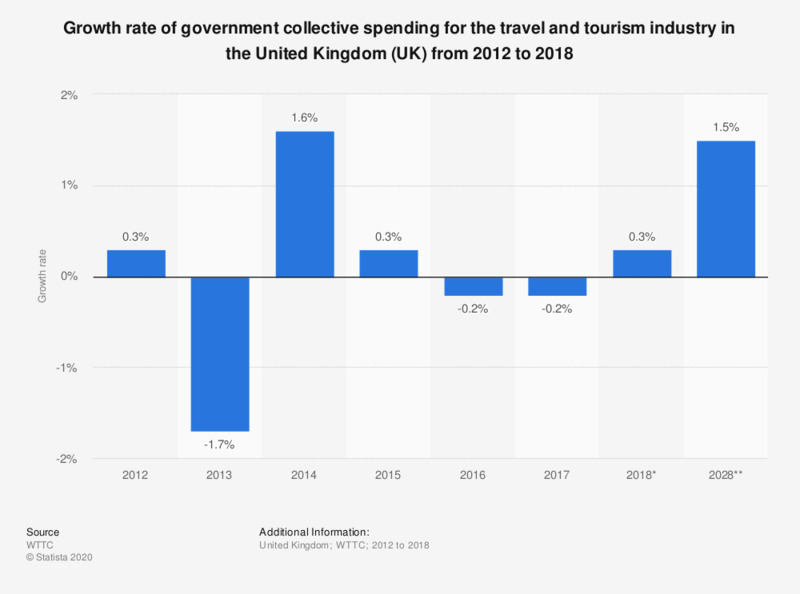 This statistic shows the growth rate of government collective spending for the travel and tourism industry in the United Kingdom (UK) from 2012 to 2018, with a forecast for 2028. Government spending in the travel industry is estimated to grow by 0.3 percent in 2018. Government collective spending is defined by the source as follows: "General government spending in support of general tourism activity. This can include national as well as regional and local government spending. For example, it includes tourism promotion, visitor information services, administrative services and other public services." Figures include constant prices and exchange rates.